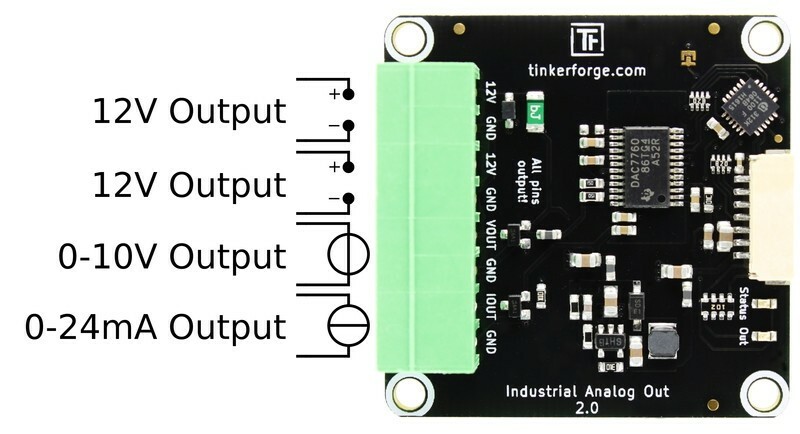 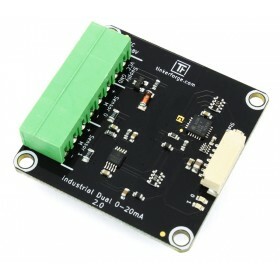 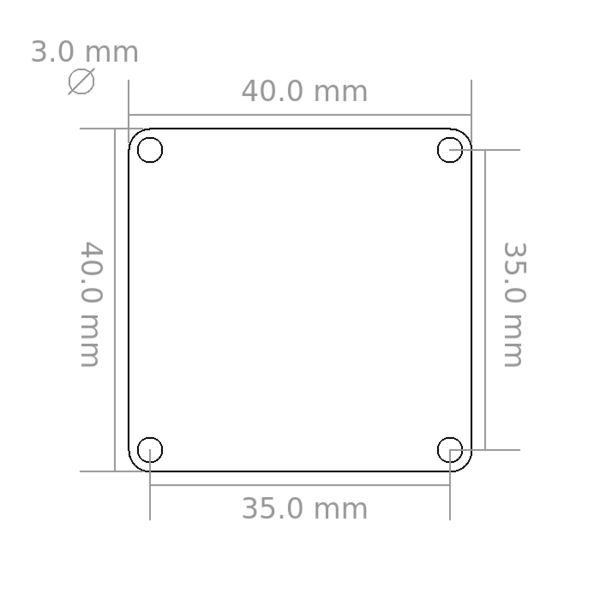 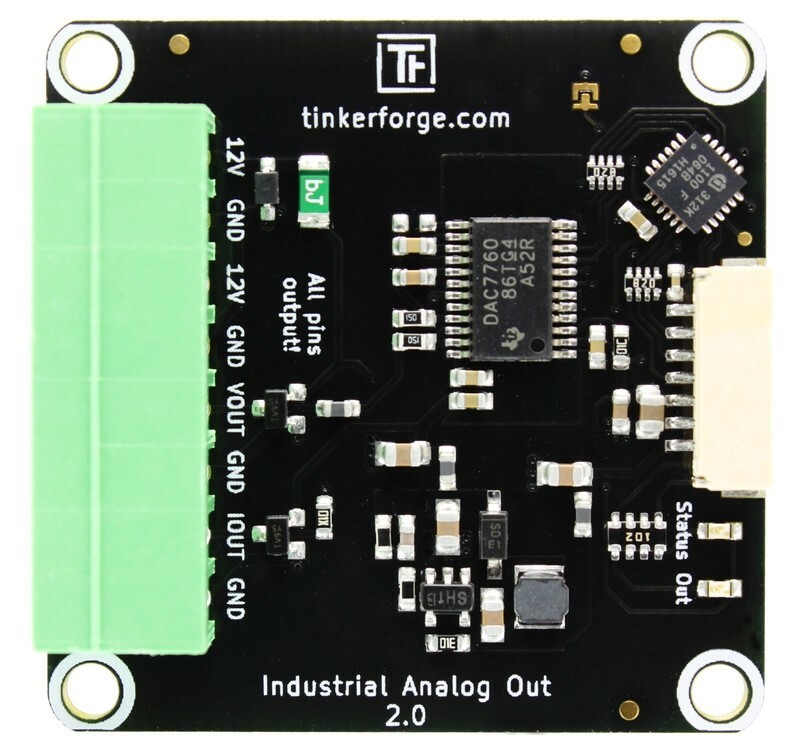 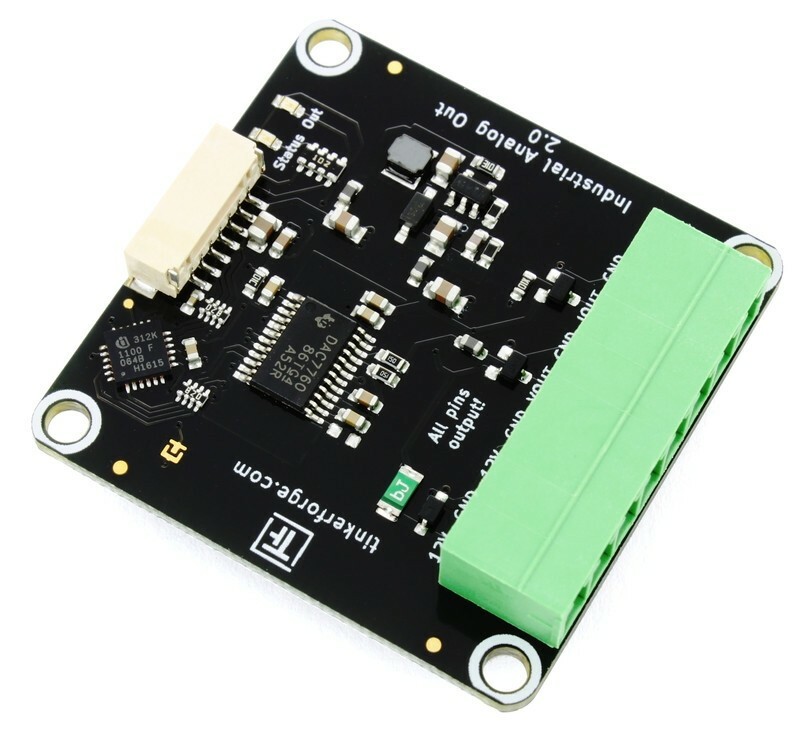 The Industrial Analog Out Bricklet 2.0 can be used to extend the features of Bricks by the capability to output voltage and current simultaneous. 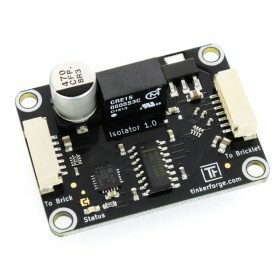 The voltage can be given in mV and the current in µA. 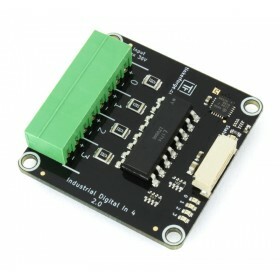 The device is equipped with a 12-bit Digital-to-Analog Converter (DAC). 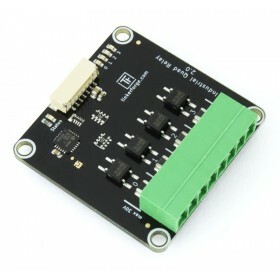 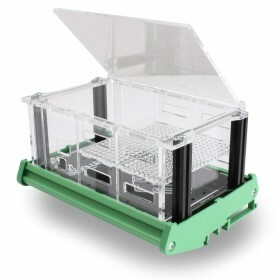 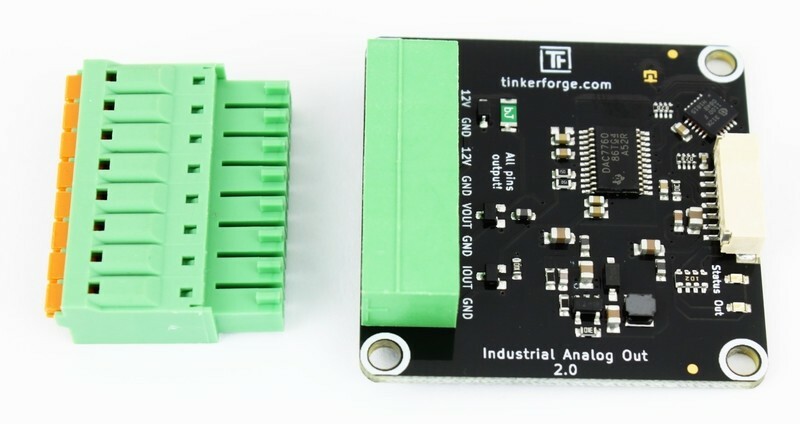 The Industrial Analog Out Bricklet 2.0 has a 7 pole Bricklet connector and is connected to a Brick with a 7p-10p Bricklet cable.